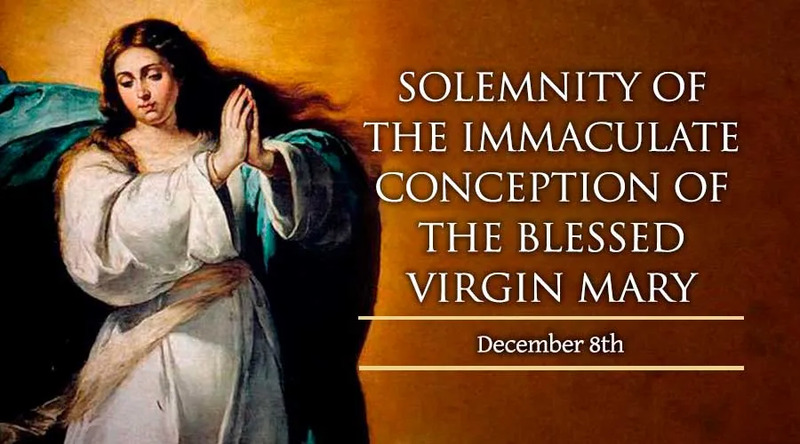 In 1854, Pope Pius IX's solemn declaration, "Ineffabilis Deus," clarified with finality the long-held belief of the Church that Mary was conceived free from original sin. Every person is called to recognize and respond to God’s call, to their own vocation, in order to carry out God’s plan for their life and fulfill the mission prepared for them since before the beginning of time. Mary’s “Let it be done to me according to Thy Word,” in response of the Angel Gabriel’s greeting is the response required of all Christians to God’s Plan.